We like to complete our daily tasks a certain way. For example, when I put away folded towels, I like to color contrast them in the linen closet. My husband does not do this. I like to load the dishwasher with the cutlery facing the same direction in its little hanger basket. My husband does not do this. I like to tuck the trash bag beneath the rim of the trash can. My husband does not. (To be fair, he’s blind without his lenses, so he may not actually see the difference…) Both of us have preferences, and preferences don’t matter a whole heck of lot during NaNoWriMo. You need to delegate a few of the household tasks. Does it matter if these tasks aren’t done the way we prefer? No. No way, because done is better than perfect (see below). Remember, though, we are the ones who signed up for this gruel-fest; not our spouses and not our kids. If you set clear expectations early, your family will cheer you on and feel like they helped you achieve something great. If you pass out itemized to-do lists each morning, NaNoWriMo can quickly become a curse word. A neat twist is to delegate dinner. Call a friend you haven’t seen for a while and ask if they’d like to meet you for a meal. Explain that you’re doing this crazy contest, you don’t have a life, but you’d love to have a little quality with a friend who can say, “Okay, time’s up. Get back to the keyboard.” If you meet at a cafe and bring your laptop? Bonus writing time before or after your meeting. Take some time to just veg, everyday. No plotting, no planning, no dialogue ideas. No housework, no errands, no tv. Just bliss out. Meditate. Pray. Let your mind wander. You might even like to listen to some instrumental music. NO WORDS. Let your mind reboot for a few minutes. You’ll be more productive, less stressed, and you’ll sleep better. Your novel (and your family) will thank you. Getting regular exercise can keep your mind clear. Here in WV, November can mean shining autumn splendor or 40 degree sideways rain. If you get one of the beautiful days go outside! You don’t have to do a 90-minute fitness routine; a couple of laps around the neighborhood can go a long way toward undoing the effects of sitting in your chair all day. Plan a fun hike with your family and get twice the benefit of some down time. We have Kroger stores in our area, and they now offer a service called ClickList. Shop your grocery list online, submit it, set a pickup time and someone at Kroger shops for you! Oh, my dear goodness. Currently, you can try it out for free. After that, the service costs five dollars. Would I pay five dollars for someone to grocery shop for me during NaNoWriMo? YES. Check your local Kroger affiliate store to see if ClickList is available in your area. You’re going to notice your usual routines slipping, and it will be uncomfortable. Your brain will chatter away at you, chiding you for neglecting XYZ. It will try to draw you away from your novel and convince you that something has to be done that day. Remember, you have 11 other months to work on your to-do list. If you’re like me, you don’t do it! So don’t obsess about a scene; flesh it out and keep writing. When your dirty laundry grows to a mountain, don’t think you have to take a whole day to catch it up. Do a load a day and keep writing. (And delegate!) When the kitchen descends into a gnat-infested heap of junk mail and crusty dishes–ignore it! If you’re out of spoons, grab the timer and alternate twenty-minute sessions of writing and washing. I know–you don’t live this way. You’re a neat person (what’s that like?). But let it all go for one short month. Your stubborn determination during November will give you a golden gift that no other month can–a brand new manuscript. Is it perfect? No. Is it done? There’s still a lot of editing ahead. But when you’re counting your blessings on Thanksgiving, this little gem will definitely be among them. What’s the biggest project you’ve completed? What did you let go during the creation? Want to remember these ideas? Save this pin to your favorite Pinterest board! I LOVE this post a whole lot! In fact, I am going to text you shortly with the images of my two favorite lines here. I should print this post out because so much of the counsel doesn’t just apply to NANO November. It applies to the Long Haul Writing Life as well! And, your post just gave me an AMAZING BRAIN BLAST. Could I, should I, try CBWM–Cook Book Writing in a Month??? I could get ALL the headers written for ALL the recipes in my in-utero cook book project. What do you think, writing guru? Just saying CoBoWriMo out loud sounds so awesome! I am shouting it out loud to my girl cats and boy bunny right now. Because my guys aren’t here. Not that I’m alone at night, or anything. Well, maybe I am, but I have to warn you, I own some seriously sharp knives. Cutco. Made in America! So, yeah…. coming soon to a Facebook wall near you–a CoBoWriMo announcement. But you heard it hear first, folks. 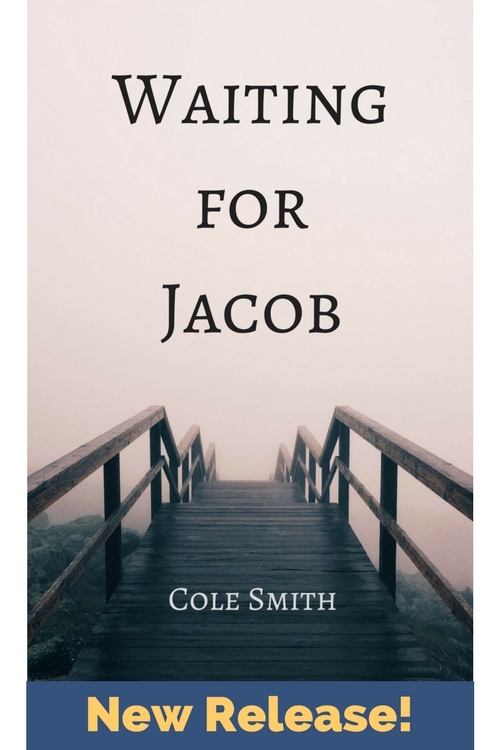 On the colesmithwrites.com blog! Because Cole’s on the cutting edge. Alrighty then. I’ll just leave that right there.